Joe Public is proud to announce the appointment of Dylan McLean as the Executive Creative Director and Managing Partner of their new Johannesburg-based digital offering, Connect Joe Public. With 19 years experience under his belt, highly awarded McLean is ready to innovate Joe Public’s digital landscape. From leading small start-up agencies to bigger customer engagement specialists like OgilvyOne, McLean brings a wealth of expertise along with him. 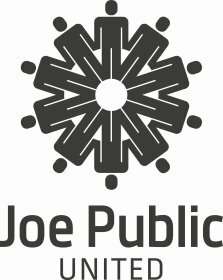 Connect Joe Public is the agency’s answer to an ever-increasing client demand for inspiring digital solutions that can grow their business. McLean is recognised for his work on award winning integrated campaigns & engagement platforms for some of South Africa’s most loved brands such as KFC, MTN, South African Breweries, and Unilever to name but a few. “As a digital, direct & eCRM specialist I’m in constant pursuit of highly crafted work that delivers excellent results. Like Joe Public, I love inspiring greatness by leading teams and developing creative offerings that grow brands. I can’t wait to be a part of a bright future with Connect Joe Public,” said Dylan McLean, Executive Creative Director. “Dylan is the perfect fit for our digital offering and agency ethos. We look forward to offering our clients, great strategic and creative digital marketing solutions that can grow their brands exponentially,” added Gareth Leck, CEO, Joe Public.